Schramms Reserve is a large 8.5 hectare reserve featuring two sports grounds, bowling greens, toilets, path network, shade trees and two playspaces. 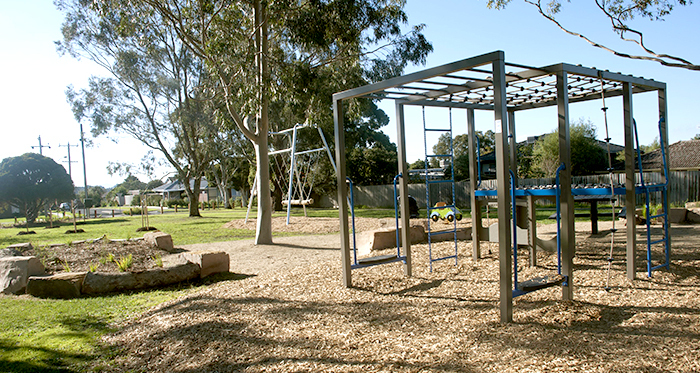 The play opportunities at the southern playground (Kalimna Crescent) will particularly appeal to younger children, with monkey bars, swings, slide, egg spinner, rocker, climbing challenges and on-ground creative play activities. Take your scoooter or ride your bike down the path to the northern playground (Board Street) which was installed in 2017. Heaps of fun here for older children with a hip hop spinner, climbing cube and a viking swing. Don't forget your football or cricket bat for a hit and run around on the ovals.